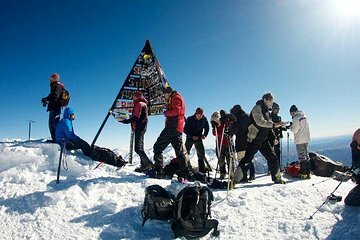 Adventurous travelers looking for a challenging but exhilarating way to experience Morocco may want to consider a trek to the summit of Mount Toubkal, high in the Atlas Mountains. This overnight adventure includes a guide and mules to take you and your luggage up to the top of the mountain, where you'll spend the night in simple mountain accommodations just below the summit. The next morning you'll head up to the summit, the highest point in North Africa, before returning to Marrakech.